You see that the red light is on top, and the green and yellow lights are combined on the bottom! It's one of those fiber-optic signal-heads where both colors are in the same housing. 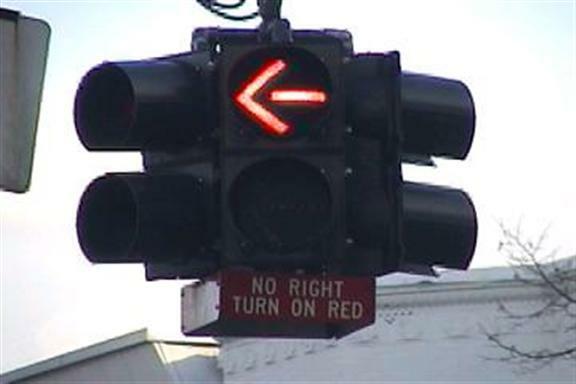 I would seriously panic if I was color blind and I proceeded through the intersection thinking that red light was a yellow arrow, like nearly every other two-headed turn arrow.